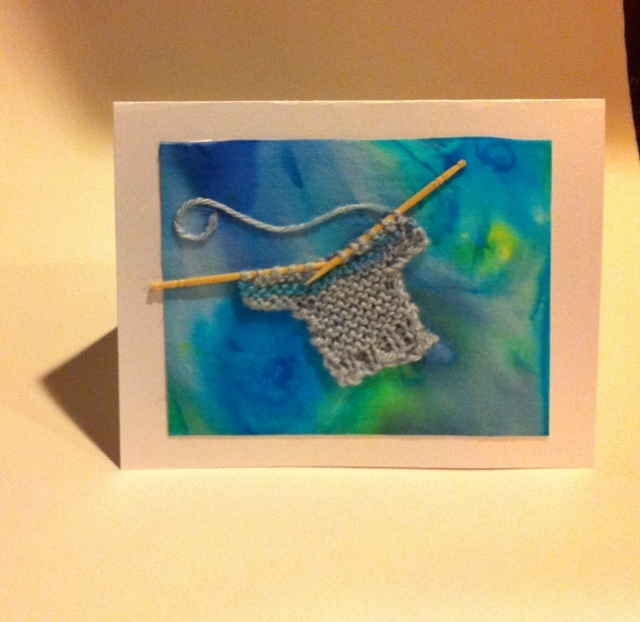 I have just finished a couple of teeny knit sweaters for some greeting cards I need to send out. These wee cuties were 100% inspired by my friend, Myriam. You can see her amazing knit work on her blog, http://www.knitsreadsandnotes.blogspot.com/. I knit them on tiny sock knitting needles and then transferred them to toothpicks. They knit up in a flash! Myriam used watercolour and salt to make her card backgrounds, and I tried my hand at silk backdrops. The intense colour was what I was going for when I painted them. The best place that I have found for the cellophane sleeves, envelopes and cards in Canada is http://www.cardblanks.com. Amazing products and quick delivery services.